"Our customers love a Derby shoe. They’re formal enough to see you through the work week and carry on rather well to downtime. So, we found ourselves with a question: how could we make Derbies better? We added super-flexible performance soles, making them so comfortable you’ll want to replace your slippers with them." 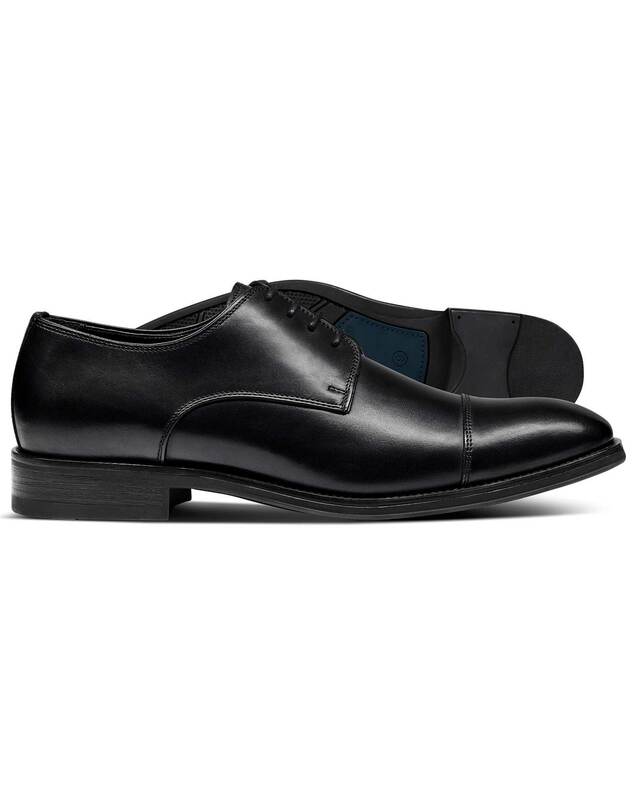 "Classic Derby shoes made with extremely flexible moulded-rubber soles for shock absorption and day-long comfort." These shoes are very comfortable and lightweight. The quality seems to be much higher than shoes I have purchased recently in the US. I haven't owned them long enough to comment on the durability but this is my 4th pair of shoes I have purchased from CT.